Your Pharmacy Software Vendor (PSV) partnered with PDR, part of ConnectiveRx, and is pleased to announce the availability of the CarePoints patient messaging program. As a MicroMerchant valued partner pharmacy, you now have access to the full CarePoints suite of programs. Currently active in thousands of independent pharmacy locations nationwide, the programs are designed to help patients understand the medication options available and raise awareness of the regimens that can help improve medication adherence. This program is not only FREE for your store but actually makes you money for every program. Additionally, the CarePoint program saves you money in print and paper costs by reducing your current MedGuides by over 50%. There are points program also offers FREE in-store marketing through PDR’s ValueAdds. All these resources operate within workflow making it seamless for your staff. CarePoints is a targeted, point of dispensing messaging program that includes sponsored messages, patient education and medication guides for you to provide to your patients when they pick up their prescriptions. The final component, ValueAdd, provides complimentary in-store promotion that drives customer loyalty. All CarePoints and MedGuides messages print from your pharmacy printer on plain white paper and are collated with the label, prescription information and/or drug monograph. All printouts should be included with the medication at the time of dispensing for customer pickup. 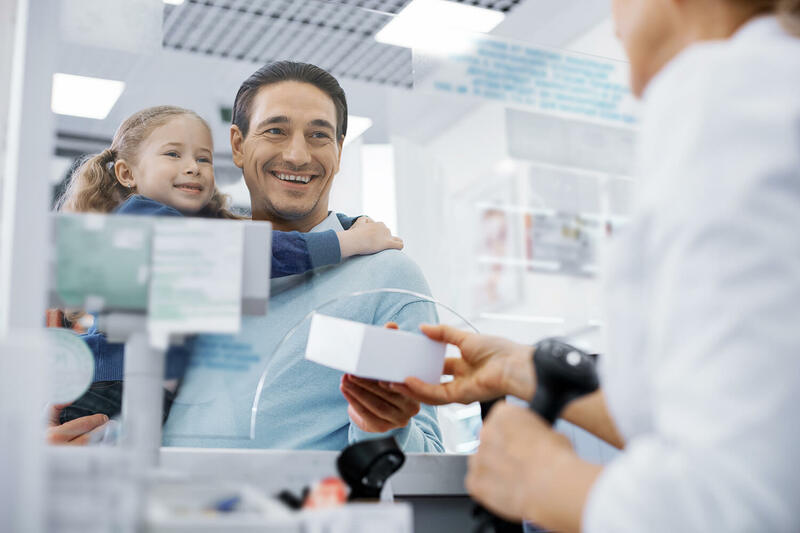 Triggered at the point of dispensing, CarePoints delivers personalized patient messaging to improve adherence, improve health outcomes and create incremental revenue opportunities. What is the pharmacy staff’s responsibility? Will this slow down my workflow? What are Value Add Programs? Can I control the frequency that CarePoints messages print? Will Care Points messages only print for the drug being dispensed? How is the pharmacy data handled by ConnectiveRx and Micro Merchant Systems? Will CarePoint messages print for every drug that is being dispensed? Can my pharmacy just receive Med Guides, Vaccine Information Sheets, or participate in Value Add only programs? If a patient would like to opt-out of the Care Points or CareMail program, what is the procedure? Can my pharmacy choose to opt-out of the Care Points program? Who can I call for CarePoints questions? If I want to start using the Value Add program, who do I submit my Value Add requests to? Not interested in participating in this revenue generating service. The Care Points program includes sponsored messages targeted and generated for individual patients based on several factors including diseases state, medication history, and refill sequence. Patients may receive a message that increases compliance by reminding them of upcoming refills, letting them know when they are overdue for a refill or alerting them when they have no refills remaining. Other CarePoints messaging reinforces compliant behavior by printing education messages welcoming them to therapy or for continuation of therapy. Since CarePoints is already integrated with the software system, the messages are generated based on the filling history of your patients. All messages generated are relevant to their disease state or medications that they are prescribed. Currently all CarePoints are designed to target brand drugs. Your role is to distribute the CarePoints documents to the patient with their prescription. Each message will contain the pharmacy name, address and patients’ name and Rx#. Every time a prescription is filled, a message is sent to the central CarePoints system to check if there is a sponsored program associated with that medication. If so, the CarePoint message is sent back to your pharmacy and will print along with your label. This also includes Med Guides , Vaccine Information Sheets or material pertaining to the ValueAdd programs you have signed up to participate with. It should be completely seamless to your workflow. Communication with the central CarePoints system happens in real time and takes less than a second to complete. The messages (Care Point, Med Guides and Value Add messages) are then printed and should be collated with the printing of the label and handed out with the prescription. They allow the pharmacy to communicate store-level promotions and messages to a specific patient population. Some examples include Welcome letters for new patients, In-store promotions, Patient questionnaires, survey and counseling documents, Immunization administration and health testing, vitamin depletion notices, etc. You can customize these programs and you define trigger points as to when to print based on the NDC or therapeutic class of a particular med, age, gender, fill history, etc. These programs help to build patient loyalty, provide patients with more information, helps to optimize multichannel communications, etc. to prevent illness and save lives. Care Points automatically limit the number of CarePoints messages per the sponsor’s direction. If you would like to deny a specific program or adjust MedGuides and Value Add settings, please let us know. The majority of the Care Points messages that print will be compliance messages. One type of compliance message is called an “off-cycle” message. The Care Points system maintains a database of every patient’s filling history. This database allows the system to target customers based on an upcoming refill, additionally if a patient is late on their prescription refilled, CarePoints may remind them to make sure to stay on therapy. If patient visits the store to get another prescription filled, the patient may get a CarePoints message reminding them not to forget to refill another prescription due to be refilled in the near future. ConnectiveRx understands the pharmacy’s concerns especially in today’s world. They do not retain any PHI to share to any outside partner. They fully understand the sensitivity of the HIPAA laws and have protocols in place to handle such. In the prescription data being pulled back, there is no PHI data. They have no idea who is who. Their data is made up of internal patient ids that they track prescription history for in order to print CarePoints and adherence messages. Not always. This will vary depending upon the individual sponsored programs. They print on less than 5% of your pharmacy transactions and average only two pages. No, nothing! In fact, you will have an opportunity to generate revenue by participating in the CarePoint and CareMail programs. Every time a sponsored message prints, you will be paid to include it with the prescription for pickup. Unfortunately, there is no additional revenue generated for Med Guides or Value Add Programs. The amount that you receive will vary by the various sponsored programs but will be more than enough to pay for the cost of the paper and toner. You will receive a monthly credit directly from MMS against your monthly transactions (need to confirm with Ketan that it will be monthly and not quarterly). No, your pharmacy must be enrolled with the Care Point programs in order to take advantage of these additional programs offered exception of CareMail. At the bottom of the CarePoints message is an opt out line. The patient can call the number listed (1-877-345-1601) listed and follow the instructions they receive over the phone. Yes, there is no obligation to participate. If you decide that you no longer want to participate in any CarePoints or CareMail programs, you can cancel the service at any time. You can also choose which programs you choose to participate in. If you wish to continue to receive Med Guides and or participate in the Value Add programs, you are required to participate in the CarePoints program. Again, If you are not interested in participating in this revenue generating service or if you wish to learn more about the offerings including Medication Guides, Vaccine Information Sheets, Value Add programs, please contact the Client Service team at (866) 495-3999 or email clientservices@micromerchantsystems.com. We will be pushing this program out to all stores within the next few weeks. If you wish to learn more about the offerings including Medication Guides, Vaccine Information Sheets, Value Add programs, please contact the Client Service team at (866) 495-3999 or email clientservices@micromerchantsystems.com.